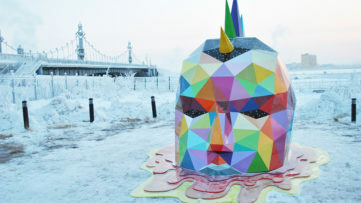 All around the work, street artists continue to work tirelessly, in any given weather. 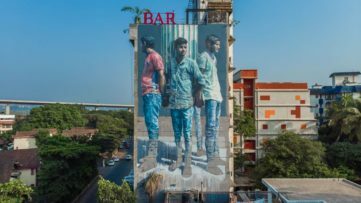 With the movement of Urban Art expanding continuously, fascinating murals are popping all around the world, making it more globalized and engaging entire communities along the way. As every month, the artists have amazed us with their skills and techniques, intriguing subjects, striking colors, scale and clever locations, all showcased on our Instagram profile. It is now that time of the month when we take a look back and bring you the most stunning pieces that marked the month behind us. Inspired by the city and its architecture in the change of time, as well as the residents and the viewers, Jana & JS create murals that combine portraits and details of architecture. 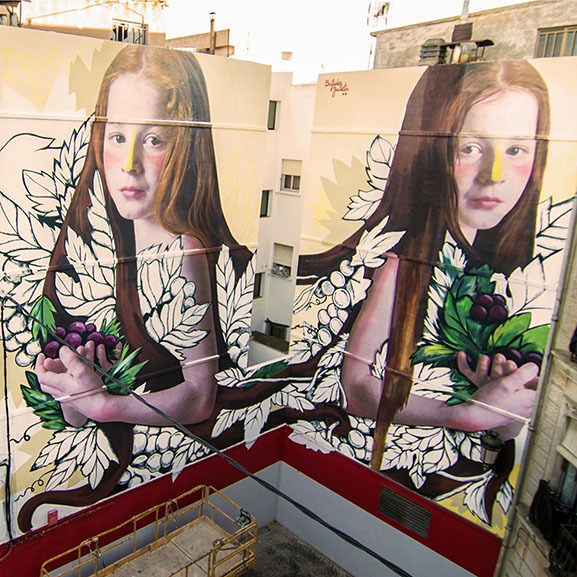 The duo has visited Madrid for Urvanity 2018 to participate in its wall program and add to the city’s artistic heritage. 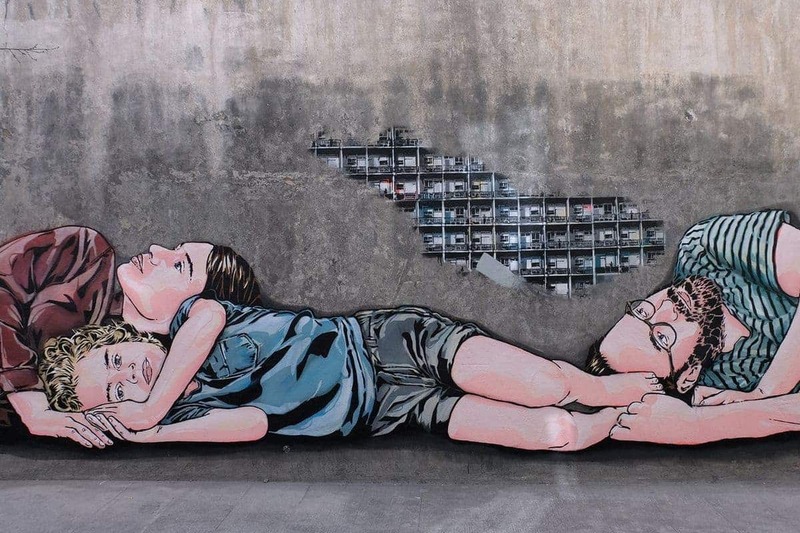 Located in the center of the city, the piece depicts people in the habitat of the city, reflecting longing and hope. The emerging Australian street artist and illustrator, Lisa King is reaching dizzying heights. A portrait painter, known for her massive, eye-catching murals, she has created a new captivating piece in Adelaide. It comes as the next phase of her Murals of Wonderment project, which started in Bowden last year. 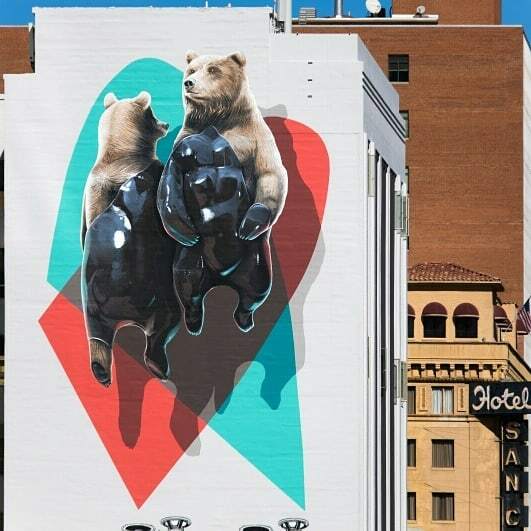 A Swiss-based artists duo composed by Christian Rebecchi & Pablo Togni, NEVERCREW is known for their large format murals, installations and urban interventions that emerge from their analysis of the relationship between humankind and nature. 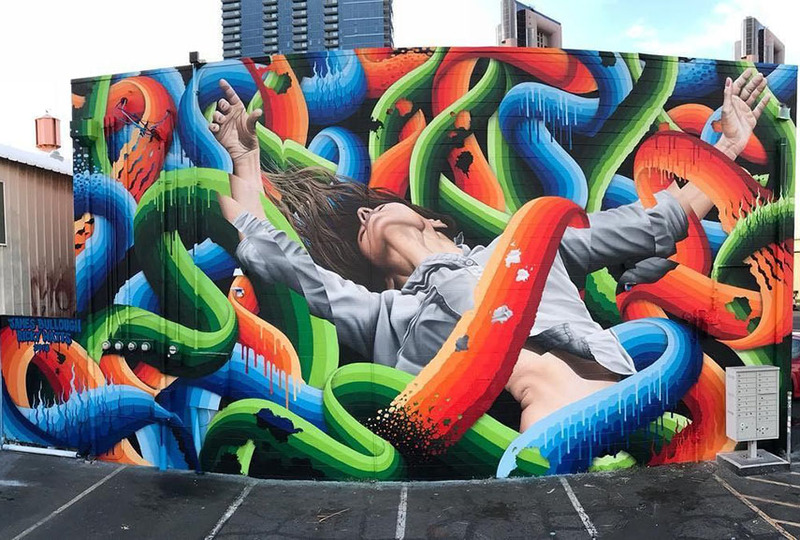 The duo has created three exceptional new murals in Phoenix, USA. 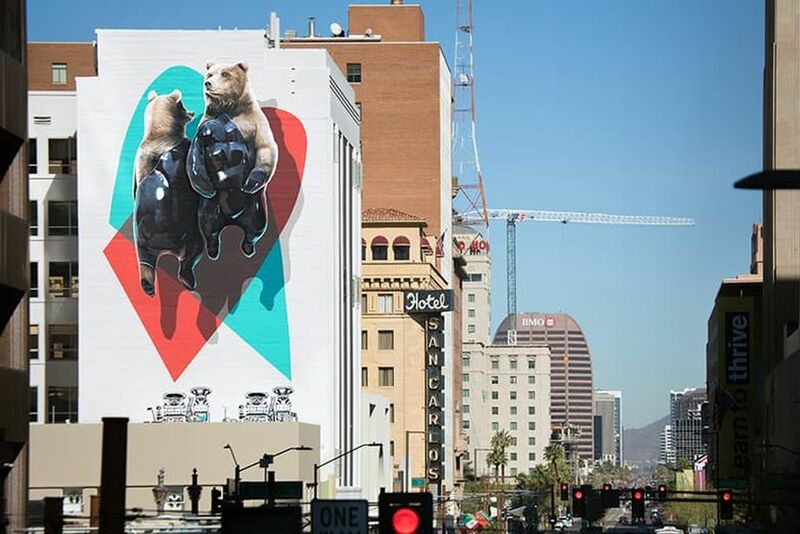 Titled El oso plateado and the machine, the piece is part of a series of three interconnected mural paintings realized in the downtown part of the town. This intervention is about communication and about how communication becomes tangible when used to interact, connect, and change. The artist KAZZIUS is best known for his play with geometric structures and correlative colors, which merge with organic lines. Evoking constructivism, but also abstract art, his works convey the sensation of movement and depth. The artist has recently visited Sant Feliu de Llobregat, Spain to a paint a new mural for 12+1: 12+1, a project organized by Kaligrafics and Contorno Urbano that will present the walls of 12 artists over the next 12 months, with one wall per month and a final artists’ exhibition. 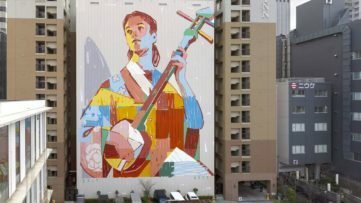 Every February, dozens of artists from across the globe congregate in Kaka‘ako to transform the urban neighborhood with murals, exhibits, discussion panels, parties and more. They are brought together by the Pow! Wow! Hawai‘i, a mural festival that engages with the broader community in the process and creation of art. This year, artists James Bullough from Germany and Ricky Watts from California have joined their forces to create a stunning new piece. A Danish visual artist and graphic designer, Mikael B has developed a signature artistic identity and characteristic expression. He has created a dynamic universe by combining the graphic footprint of wildstyle graffiti and bold colors and graphic shapes. 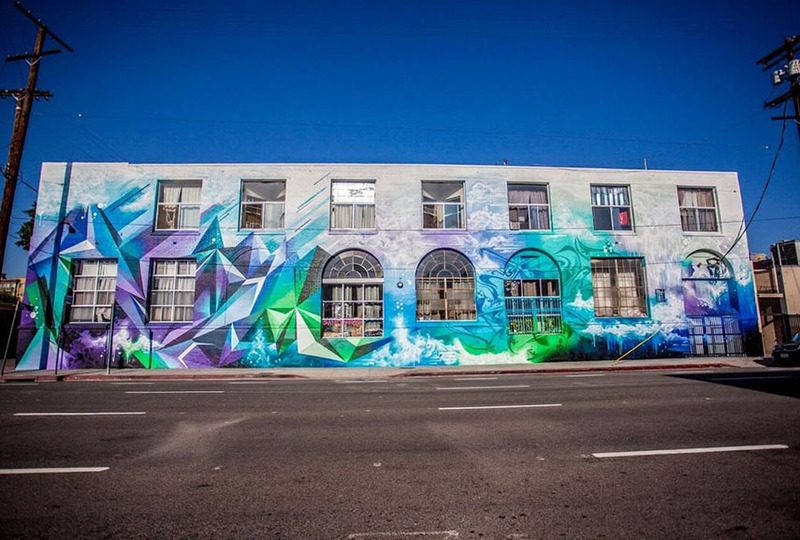 The artist has recently visited Los Angeles for ART SHARE LA, iconic arts district non-profit, to create a vibrant new piece in his distinct style. 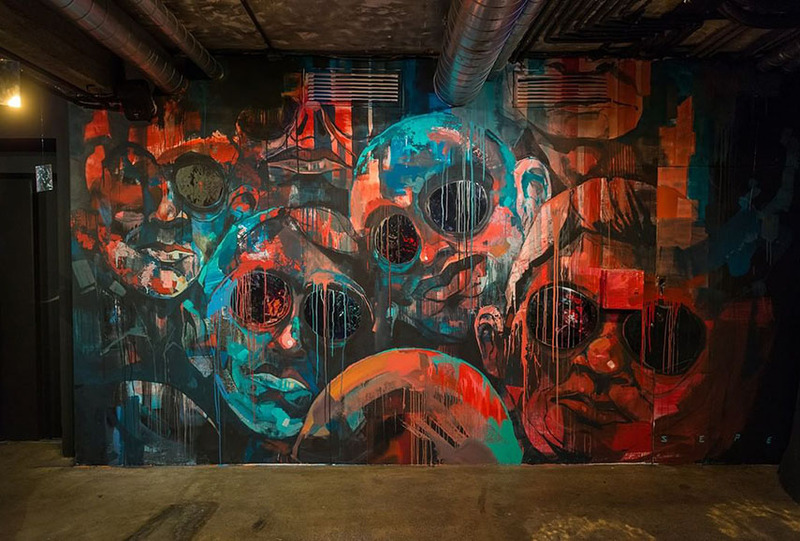 A Polish freelance graphic designer, painter and illustrator, Sepe is known for obliterating classic media and genre affiliations. He creates quasi-mannerist figures defined by delicate but deliberate lines, appearing to illustrate the numerous stories of the streets they are placed in. The artist has recently participated in the #7ways2love project in Barcelona and created a piece titled Narcissus. A new urban art intervention, #7waystolove invited seven international artists to give their interpretation on the subject of love. The Irish artist FinDac is best known for his large murals of beautiful women, taking a new turn on 19-century art movement The Aesthetics. For him, the purpose of art is to bring the beauty into the world. The artist has recently created his biggest project to date in Miami. 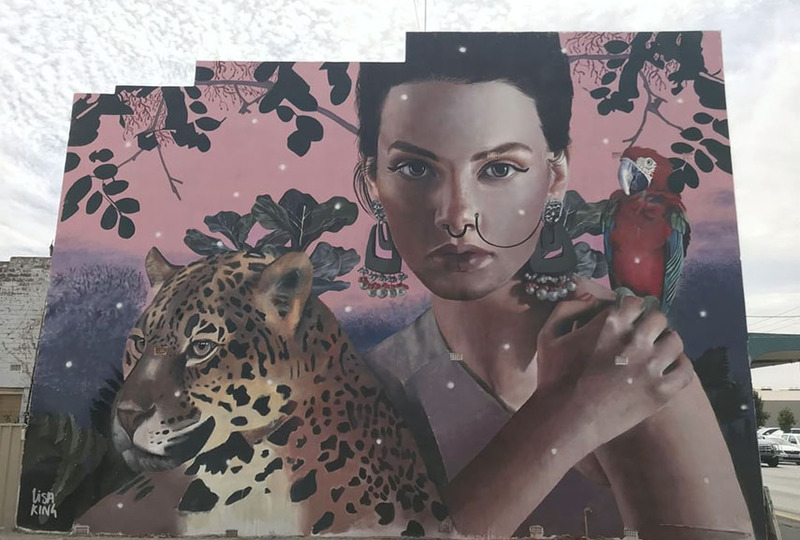 Titled The Wild Rose, a 4,000 square feet rooftop mural is hidden in plain sight at Wynwood Walls. The street art duo of Julieta XLF and Bifido continue to collaborate on pieces that blend together their strongest individual talents with elements of photorealism and decorative painting. 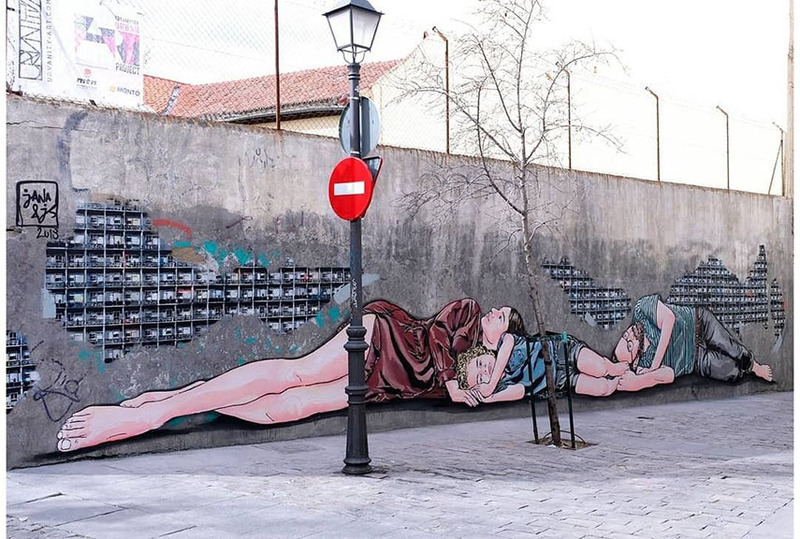 The duo has visited Requena, Spain to create a reflection of a girl looking at herself as a free woman. Titled Le Baccanti, the murals refers to the Greek tragedian of classical Athens names Euripides. 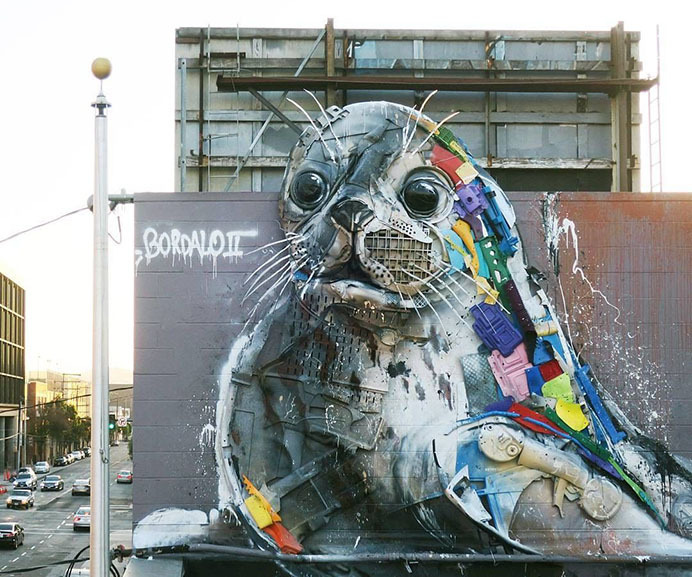 On February 24th, Heron Arts in San Francisco opened Trashedy, a solo show dedicated to Bordalo II. On that occasion, our favorite trash artist created a new piece. This time, he gave “life” to a cute seal, drawing our attention to plastic overtaking our oceans and the danger it puts animals like seals in. 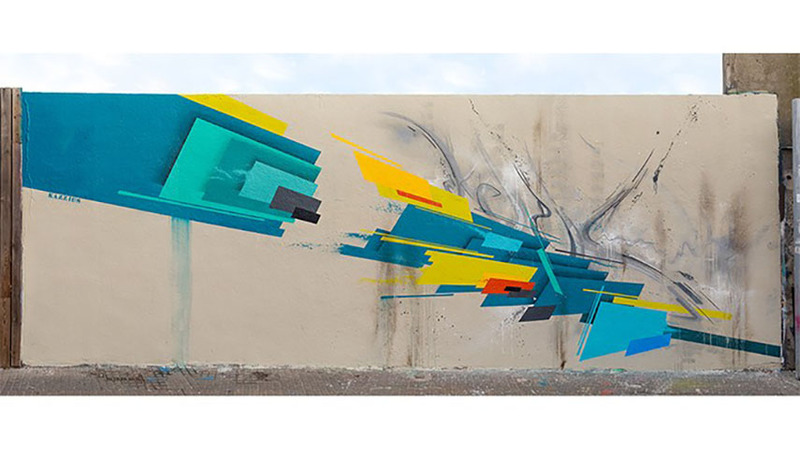 Featured images: Jana & JS in Madrid, Spain; NEVERCREW in Phoenix, USA.